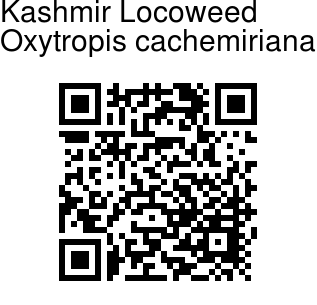 Kashmir Locoweed is a perennial herb found in the Himalayas, at altitudes of 2400-4000 m. Pinkish purple flowers are borne in globular heads, about 2 cm across, above the densely hairy pinnate leaves. Flowers are about 1.2 cm across. 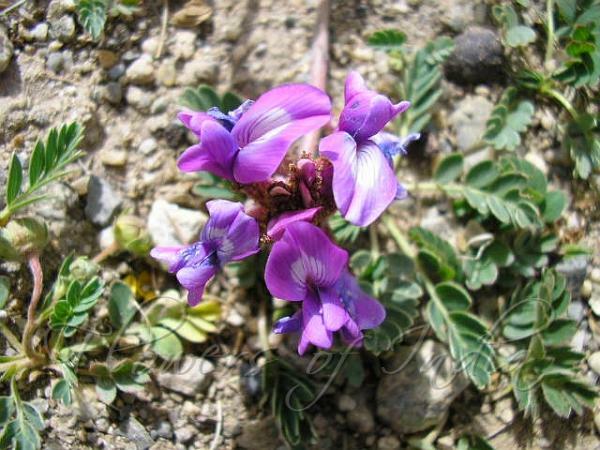 Sepal cup has dense, spreading pale hairs, and bristle-like teeth 4-5 mm long. Pinnate leaves are 4-5 cm long, with many pairs of elliptic entore leaflets, 5-10 mm long, with spreading white hairs. Flowering stems are several, spreading, up to 10 cm long, with black and white spreading hairs. Pods are 1.1-1.3 cm, papery, inflated, densely hairy. Flowering: June-August.